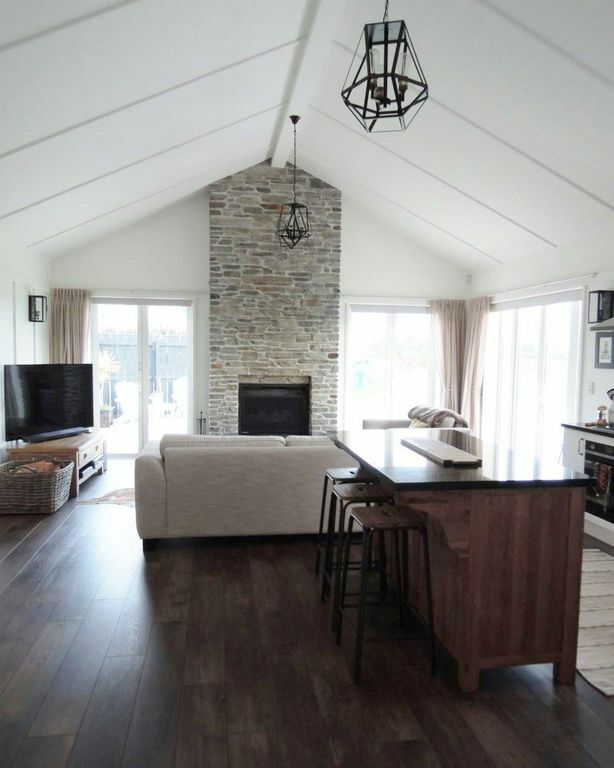 This cottage has the wow factor, and is suitable for special occasions or romantic getaways. Our guests love it. We are approx 7km from Pukekohe, Patumahoe village is nearby, and Waiuku about 15 mins driving away. The Cottage is located across from a 4-box horse stable which has a hay shed and barn on either end. The farmhouse is about 30 metres away. We have tried to ensure utmost privacy for guests with fencing, border plants, hedging and a driveway situated in between the main residence and the cottage. We also plan most farmwork outside of guests booking, however if you would like to help feed out cattle or horses, please let us know in advance. We encourage walks around the farm and there is panoramic views from the hilltop water tank. The property is a 150 acre beef farm on the slopes of Pukekohe Hill, with Hereford beef cattle and horses. All cattle except the bull have been born and raised on the farm and we calve spring and autumn, with calves being nursed by their cow for approx 8 months. They are raised in a family herd and graze grass, or hay in winter. Glimpses of the Waikato River and Port Waikato can be viewed to the south of the farm. Experience a slice of kiwi rural living within an hour from Auckland City. A delicious farm breakfast hamper is provided for you too! Pukekohe is the 'food bowl' of NZ because of its rich and fertile volcanic soils. Further down Settlement Road are acres of planted crops and glass houses, with workers planting or harvesting seasonal vegetables. In between the market gardens are many horse properties, please drive carefully as people often ride their horses down our road. The Puni BMX Bike track, Puni Pa Bike Track, and Puni Rugby Club are 2 minutes away. Pukekohe Township is the largest shopping centre in the Franklin District, with a variety of stores to choose from. Or you might prefer to check out the Saturday morning Markets in Pukekohe or Pokeno Markets on Sunday. There are many bars and restaurants, the cinema, bowling alley, swimming pools, gyms, and the Pukekohe Park race track. Venture further out to Waiuku Township and the beautiful Awhitu Peninsula. The beautiful Kariotahi beach and Awhitu lighthouse are options for a great day sight seeing, and finish exploring with a drink or meal in NZ's oldest licensed hotel - The Kentish Hotel in Waiuku. Tuakau, Port Waikato, and the Hampton Downs Motorsport Park are 30 minutes away, or drop into nearby Patumahoe village and meet the locals. First rule of farming, keep the gates closed please! Thank you Janine for letting us stay in your gorgeous stables accommodation. It was absolutely stunning, so comfortable and the little breakfast basket was such a welcoming touch. Our only r great was that we couldn’t stay longer! An absolute gem in the country, don’t look past this one. She provided a wonderful breakfast basket. The cottage was very clean and welcoming. Absolute piece of paradise nestled in amongst the rolling hills of the lower Pukekohe region .. we loved it! The Stables is a gorgeous 1 bedroom unit with all that you could wish for..restful and total perfection....lovely welcoming hosts. This place is STUNNING!! I honestly wish I could live here full time. The cottage is beautifully decorated, comfy bed, spacious, and so peaceful. Gorgeous views. I will definitely rebook if we are looking for a weekend away without a long trip to travel. We had a fabulous few days staying in the Stables Cottage - what a beautiful property, great location and so well equipped right down to a scrumptious breakfast hamper. This will be our must stay at property when we are in this area. Highly recommended! Delightful spot. Rural (though that means nice an peaceful) yet in close proximity to Pukekohe and all amenities. Car a must. .